Weight loss can be a pain. But not losing extra pounds can become even more painful to your joints. More than two-thirds of the U.S. population is overweight or obese. Osteoarthritis (OA) is one of the most prevalent conditions resulting from obesity, and obesity is now recognized as an important modifiable risk factor for OA. It’s also a factor that can accelerate knee OA. With OA, the cartilage “cushion” within the joints degenerates. Bones then rub against each other, causing irritation, pain and swelling. The more weight on the joint, the more wear and tear on the cartilage. Studies consistently show that overweight people have higher rates of osteoarthritis than people who aren’t overweight. One study found that those who are obese (with a body mass index [BMI] between 30 and 35) are four to five times more likely to get arthritis in their knees. The best way to lighten up? Healthy eating and exercise, of course. Dr. Bolash recommends water exercises for those with joint pain. Swimming, water aerobics and walking laps are good options. Activity and mobility exercises are Dr. Bolash’s first line of treatment for patients with joint pain. 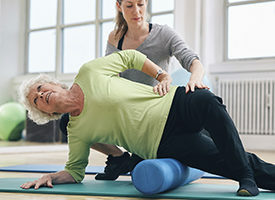 If mobility is a challenge, he often directs patients to physical therapists, who can advise on gait, proper footwear and how to prevent pain during movement. Anti-inflammatory medications. Pain-relief drugs can be taken by mouth or applied to the skin. Injections. 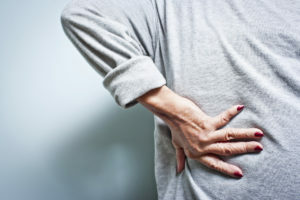 If the pain is disabling, injecting corticosteroid (to decrease inflammation) or viscosupplementation into the joint may help. Viscosupplementation is similar to a lubricating gel that can be injected into the knee joint to help decrease pain with movement. The best treatment for joint pain is stopping it before it starts. Protect your hips and knees for the long-term by lightening your load. If you need to lose a few pounds, get moving now before moving gets you. It is also important to get the proper diagnosis because many other joint conditions can cause joint pain. These include autoimmune related arthritis, rheumatoid arthritis, psoriatic arthritis, gout or septic joint.